Did you clean out the cases when you rebuilt it? If not, there was probably schrapnel left from the first failure that caused the damage. I cleaned the bottom the best I could with magnets vacuum and mirrors. I couldnt find anything in it. It was still running good when the guy I bought it from took it apart he said it was just running slow. What do you guys think. The cylinder may just need honed Other than the piston being shot. The power valve has some chips outta it but def nothing major. I am hoping to be able to use the cylinder and PV but if not I guess I will buy them. I am just hoping the PV or cylinder was not the cause of this. IT aslo has the newer style PV's not sure if that matters or not. ive noticed some pv's have different size spacers, check and make sure one valve doesnt stcik down farther than the others..
well the newer style ones did have different spacers but it seems like only the middle one may have been sticking out alittle far if at all any. 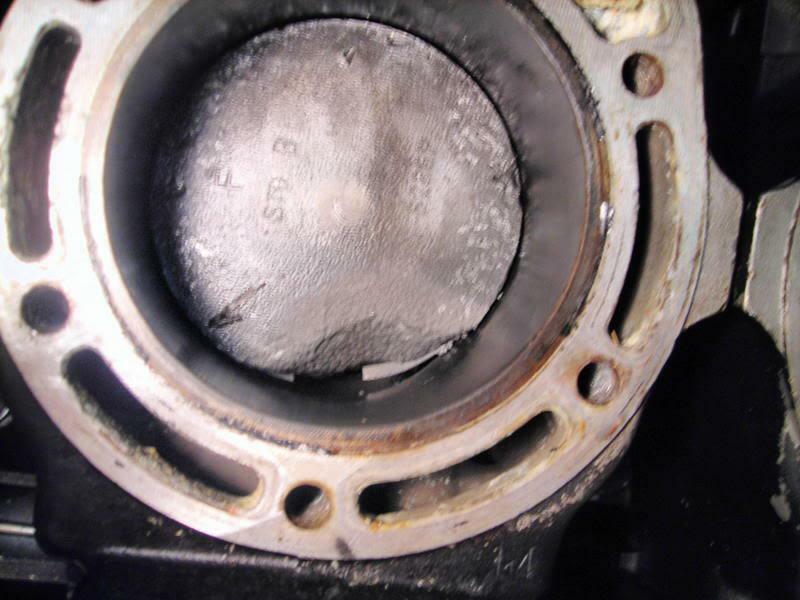 did u clean the top of that piston? If not it looks like possible water intrusion from the head gasket or manafold gasket. no when I first broke this ski in I had a bad water leak and sucked a ton of water into the motor through the carbs but was able to get it out and run the piss outta it to try it all up. Do you think that is what caused this??? did u run the piss out of it without a hose on it? or out of the water? Ha Ha Ha! 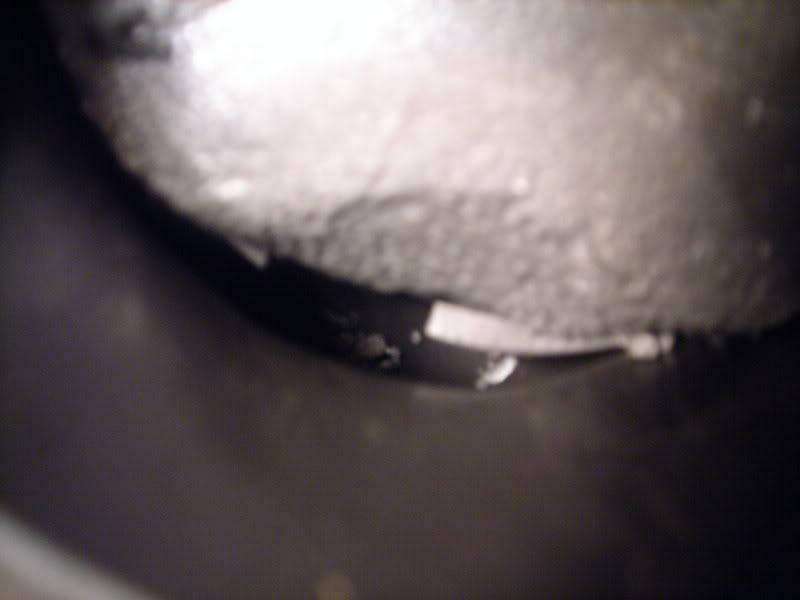 Another Problem On My 01 Gp1200r! !